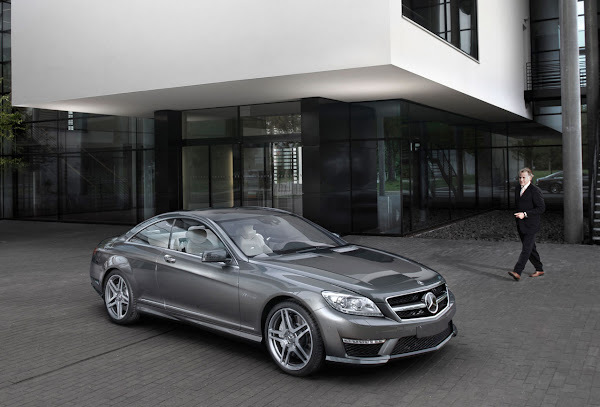 Automobile enthusiasts with a sense of the spectacular have long held it in high regard – the Mercedes-Benz CL 65 AMG. This dream car with the powerful V12 engine and exquisite appointments is synonymous with exclusive performance and exclusive style. The same applies to the revised model which not only features a number of new visual highlights, but also boasts an increase in power from 450 kW (612 hp) to 463 kW (630 hp), as well as a reduction in both fuel consumption and emissions. The AMG 6.0-litre V12 biturbo engine in the CL 65 AMG is one of the most powerful series production engines ever built. The twelve-cylinder engine produces 463 kW (630 hp) from a displacement of 5980 cc, and a maximum torque of 1000 Nm which remains constant between 2300 and 4300 rpm. The torque has been electronically limited to 1000 Nm from a possible 1200 Nm, to make allowances for the powertrain. The unrivalled superiority can be experienced over every single kilometre: the AMG V12 engine is characterized by effortless power delivery in all engine speed ranges and an exciting engine sound, all coupled with supreme refinement. The exceptional power of the AMG twelve-cylinder engine is evident from the performance data: the CL 65 AMG accelerates from zero to 100 km/h in 4.4 seconds, and achieves a top speed of 250 km/h (electronically limited). AMG has made a number of additional detailed enhancements to the AMG 6.0-litre V12 biturbo engine for the new CL 65 AMG. The engine experts at AMG achieved the increase in output from 450 kW (612 hp) to 463 kW (630 hp) thanks to new exhaust gas turbochargers. The inlet diameter of the compressor housing and also the exhaust gas ducts have been enlarged, and the resulting increase in air throughput, together with the new engine electronics, has re-sulted in an increase of 13 kW (28 hp). The maximum charge-air pressure is 1.5 bars. 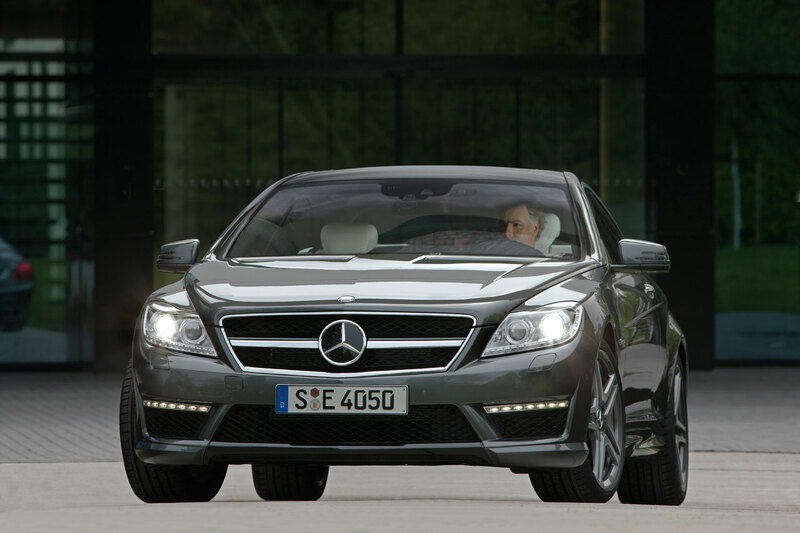 Despite the increase in output, it has still been possible to reduce fuel consumption and exhaust emissions: the NEDC-combined fuel consumption of the CL 65 AMG is now 14.3 litres per 100 kilometres, which equates to a reduction of 0.2 litre per 100 km. The CO2 emissions of 334 grams per kilometer are 3.5 percent lower than those of the previous model (346 g/km). The reduction in fuel consumption is achieved thanks to the new engine electronics as well as the generator management: the kinetic energy gener-ated during each drive phase of the engine and also when braking is used to charge the battery, and not just left to generate heat as would otherwise be the case. In all other operating areas, management of both the on-board electrical system and generator enables the generator to be maintained at a low voltage level. New piston rings, a modified oil pump and use of a superior coating on the catalytic converters also contribute towards reducing raw exhaust emissions as part of the package of measures. 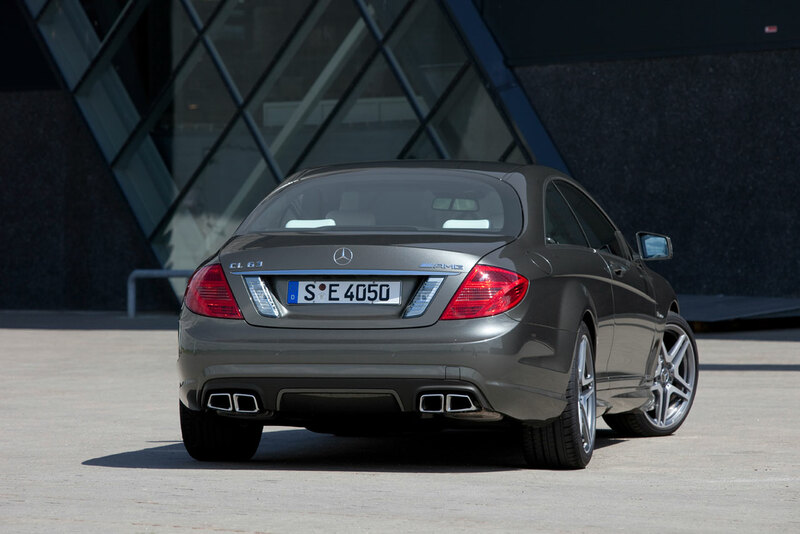 As a result, the CL 65 AMG immediately fulfills the current EU5 emissions standards as well as all of the requirements of the US markets (LEV II standard, on-board diagnostics II and lambda sensor diagnostics).